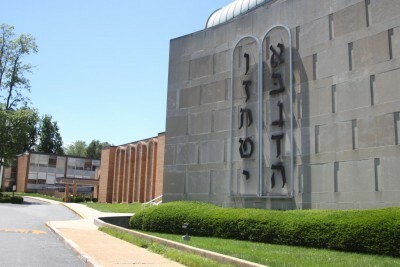 If you drove past Baltimore Hebrew Congregation’s parking lot sometime over the past week, you might’ve noticed a large, unusual-looking rig stationed there. That’s the “This Is Hunger” interactive, experiential, on-wheels installation that takes visitors on a journey of the mind, spirit and soul to learn about hunger in America and to inspire social action. The rig, which arrived at BHC on Feb. 21 and remained there until Weds., March 1, is also known as the MAZON Truck. 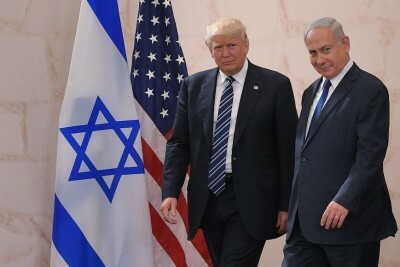 Based in Los Angeles and Washington, D.C., MAZON: A Jewish Response to Hunger is a nonprofit organization working to end hunger in the United States and Israel. MAZON, which means food or sustenance in Hebrew, is the sponsor of the truck. Nearly 400 people in the Baltimore area visited the MAZON Truck over the past week, according to Michelle Stuffman, director of outreach and communications for MAZON. Yesterday, the vehicle visited students and faculty at the Beth Tfiloh Dahan Community School. Launched last November, the 53-foot-long, double-expandable trailer provides nearly 1,000 square feet of interior space to take participants on a voyage of awareness and activism. Up to 30 guests are allowed to enter the truck at scheduled times and participate in a 45-minute presentation. Designed by members of the creative team behind the Noah’s Ark exhibit at the Skirball Cultural Center in Los Angeles, “This Is Hunger” uses state-of-the-art storytelling techniques, black-and-white portraits and interactive elements to illustrate some of the stories of the more than 42 million Americans struggling with hunger and food insecurity issues. 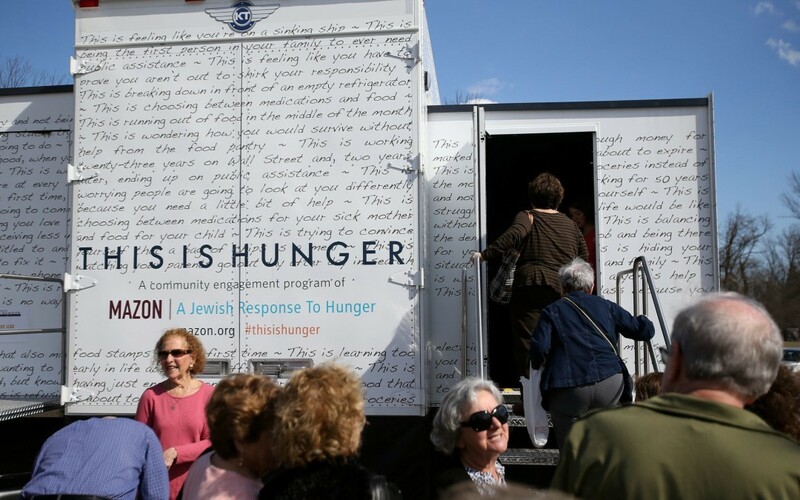 Participants enter the truck and sit at a communal table to meet — virtually — real people struggling with hunger. Portraits are projected at each end of the table as they share their stories. 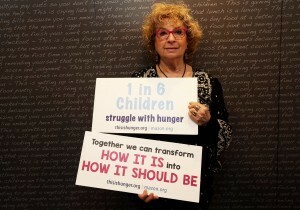 Participants are invited to engage in activities and experiences to deepen their awareness about the complexities of being hungry, and to join MAZON in educating the rest of the nation and advocating for change. The truck, which is on a 10-month, 30-city tour, will stop next in the greater Philadelphia area from March 5-20. 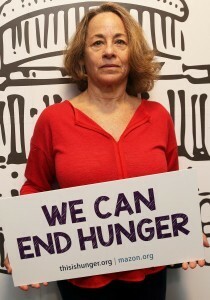 For information, visit baltimorehebrew.org, mazon.org or thisishunger.org/ .